Enter your name and email and we'll do the rest. You'll receive an email confirmation and a reminder of the webinar date and time. Also a final link to a replay that you can watch later if you should miss the live event. Is it possible to have more appropriate moves to treat diverticulitis, or at least to reduce the pain from diverticulitis ? Hi Carmel, there are several specific procedures for treating bowel conditions like diverticulitis in the Modules 7-8 classes and manuals. 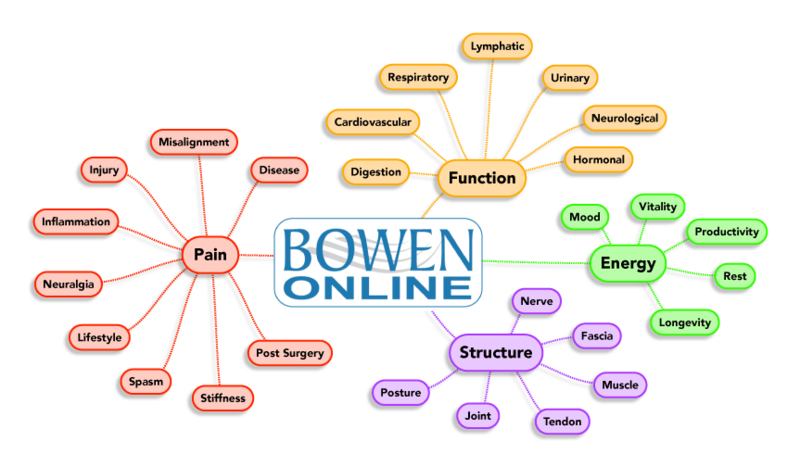 Hi, I am very interested in joining bowen-online. As i can see, the gold package is really the best value but at this time i do not have the finances for this option. What i would like to know is if iafter subcribing for a bronze membership i can upgrade to silver or gold in stages a little down the line? And if there is any extra cost involved or whether it would be a straight payment of the difference in package prices.